There’s not a single series that comes to mind that encapsulates the essence of B movies like Earth Defense Force. The games have built a reputation on that alone. 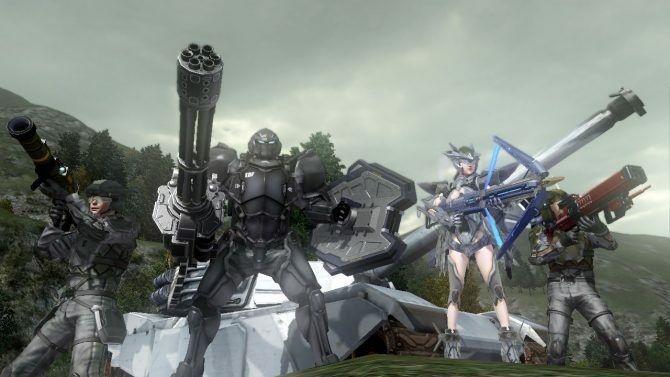 Earth Defense Force 5 is the latest entry and while it brings some solid improvements, it fails at delivering engaging moment to moment gameplay. 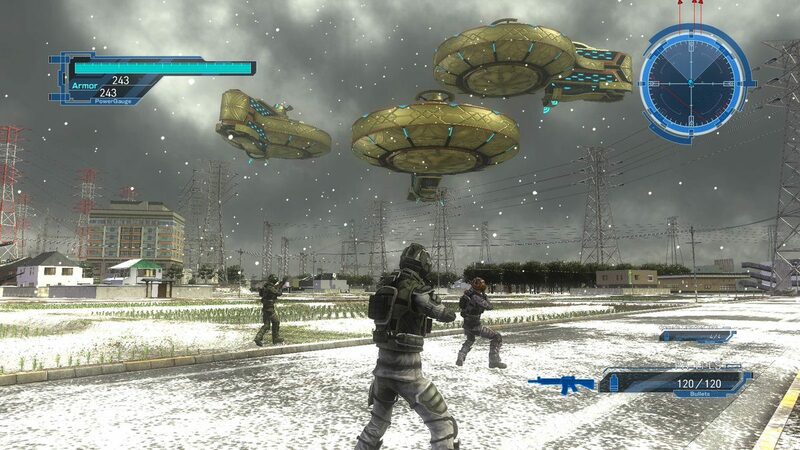 You begin Earth Defense Force 5 as a recruit before, you guessed it, the aliens and giant bugs return, to nobodies surprise except the Earth Defense Force. Seriously, how many times can these folks be surprised by this? They never seem to be ready causing me to question their quality as a force thats one job is to defend the Earth from incidents like this. There isn’t much continuity in terms of story here. I was a bit confused just as to where this takes place on the series’ timeline, or is the timeline all the same event? I have no idea. With games like Earth Defense Force, I have a tendency to jump in every few entries, very much so like the Dynasty Warriors series. 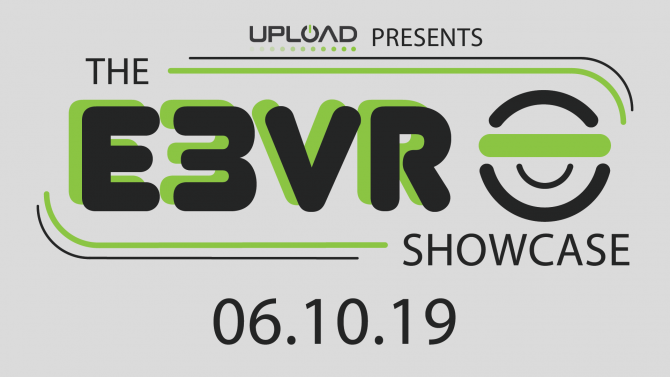 “Earth Defense Force 5 is the latest entry and while it brings some solid improvements, it fails at delivering engaging moment to moment gameplay. It’s not like I’m expecting much of a story from a series that so heavily relies on B movie tropes. 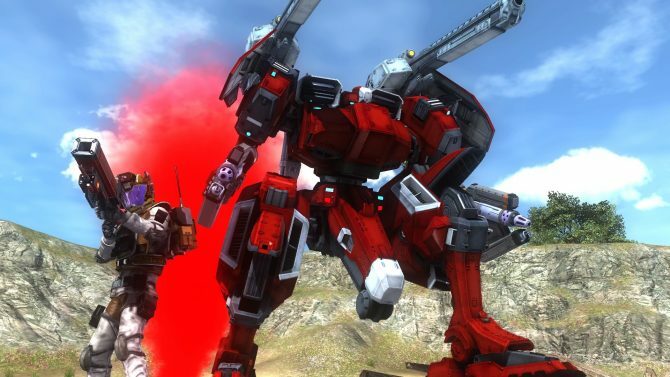 That’s all fine and good but Earth Defense Force 5 ultimately fails at keeping its moment to moment gameplay interesting — especially if you’re playing alone. There are over a hundred missions in this game but most of them amount to doing the same thing over and over and over again. This isn’t always necessarily a bad thing and by the later points, you’ll have a variety of weapons and vehicles at your disposal to keep things interesting to an extent. There’s just so much build up to these moments. I wasn’t actively using vehicles until about 20 hours into my Ranger run-through of the game and at that point I really just already had my mind made up about the game. I didn’t want to play anymore, I was ready to move on from the game. There’s just far too many missions that only amount to you killing a few waves of the same enemies. 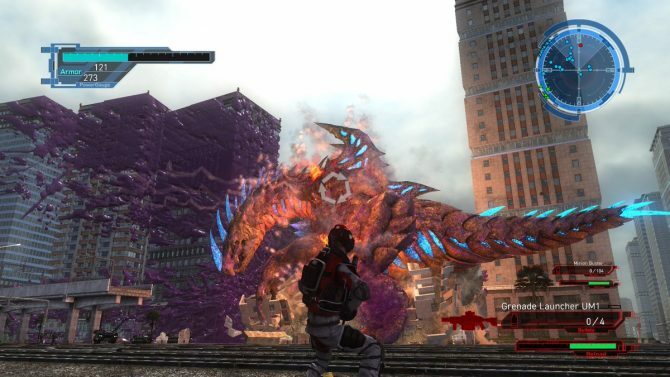 However, during Earth Defense Force 5’s more exuberant missions it really does shine. I just wish moments like these were more common and not spaced out in between what only amounts to pure mindlessness. 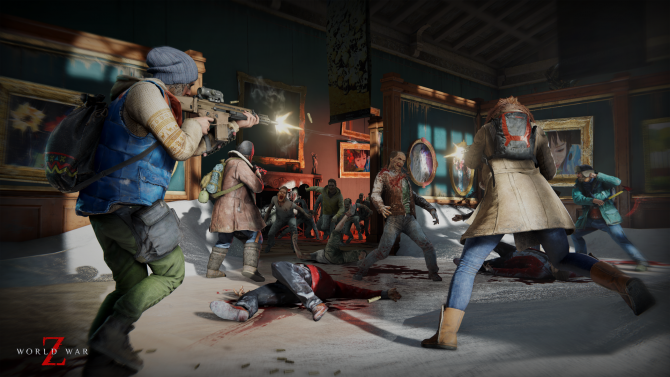 These missions work when being accompanied by a friend in the game’s co-op but as far as single-player experiences go, they offer nothing rewarding after the umpteenth time. For every really fun mission, there are about four or five boring ones you’ll have to shoot through to get to it. 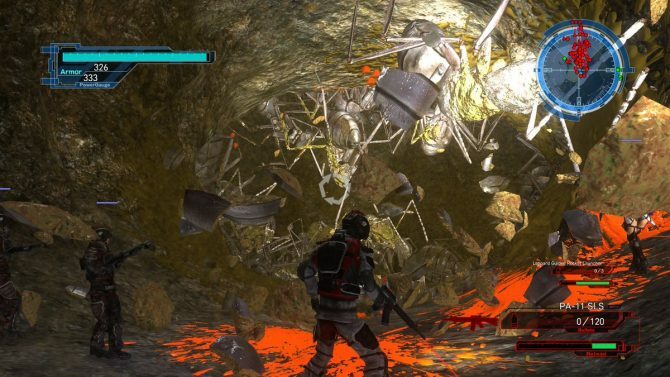 Earth Defense Force 5 is the first game in the series to add breakable limbs and body parts to enemies. It’s a pure dopamine rush as you watch alien limbs and guts spew everywhere while you fire a storm of bullets into large crowds. This is a great quality of life addition to the series and I hope it only gets better with each entry. As far as visuals go this series has by no means ever raised the bar. While the sheer amount of enemies on screen can be crazy at times, environments feel incredibly outdated. Furthermore, I cannot tell you the difference between environments in this game and the last. There’s definitely some variety when it comes to where each mission takes place but once you get to around 50 missions completed it just all starts looking the same. Underground sequences, in particular, look incredibly poor. I understand the charm of some low budget games but this series can only rely on this for so long — it’s time for some sort of upgrade. The one standout as always is the boss monsters. Even if some are reused from older games, it never gets old fighting these titans. There are four classes to play as and each has a wide variety of weapons and equipment at their disposal. The game does a good job at making them all feel distinct from one another, but the Ranger ultimately comes across as the best bet for most situations. Rangers are your standard soldiers, while Wing Divers are the more ergonomic flying units, and Fencers are the tanks of the bunch. Air Raider’s are easily the most useless class as they rely heavily on your team and the AI is far below what one would consider competent in 2018. Speaking of the AI — it’s not great. But it’s definitely noticeably better as far as enemies go. Once you get into the later game, you’ll be taking on enemies that’ll actually dodge your attacks and react to your actions. Your allies are ultimately useless when they’re not in mass, oftentimes just getting swarmed by enemies leaving you to fight by your lonesome. Like other games of this nature, you’ll be doing a lot of heavy lifting, so it’s nice to bring a friend along for the ride if you have the means to. Sound design is a real mess in Earth Defense Force 5. There are some really hectic moments where you literally cannot hear anything that’s going on. It’d be something ff the sound of gunfire sounded impactful, but it doesn’t — it sounds cheap. While the B movie dialog is charming for sometimes, it overstays its welcome a few hours in and I really just couldn’t take it anymore. 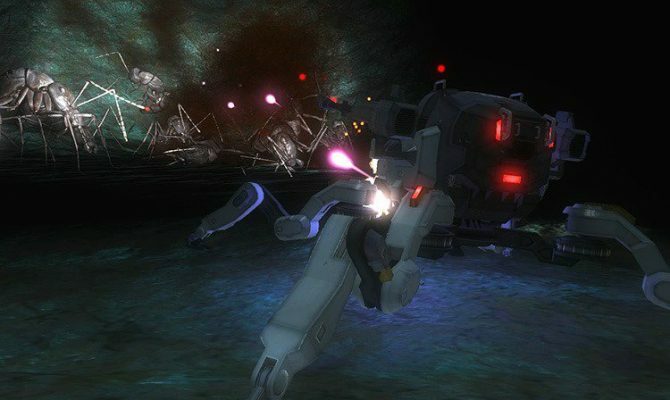 Ultimately, Earth Defense Force 5 boils down to a very shallow entry in a series that I’ve typically enjoyed in the past. 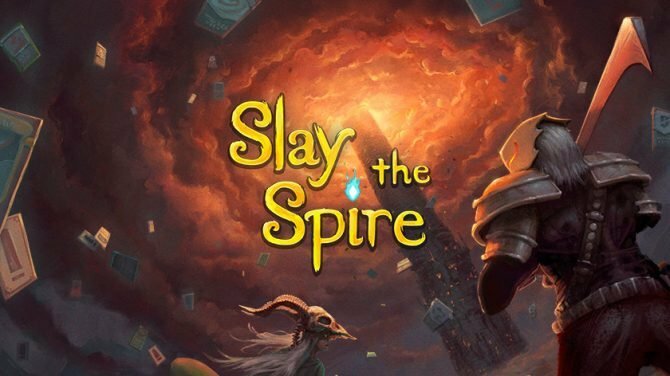 Single-player only works in short spurts, as this is a title that’s meant to be enjoyed with others. I think it’s time for Earth Defense Force to evolve into more than just a game that relies on nostalgia and monotonous killing. There’s definitely potential here and it shines through at multiple points throughout the game. 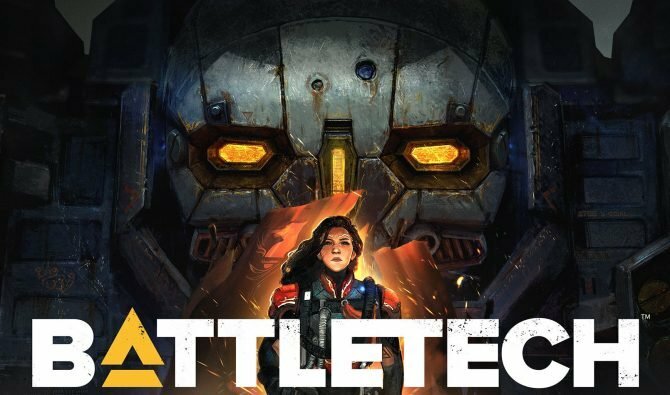 If you’re a fan of this series, this game is definitely worth giving a shot, even if it’s your first time. 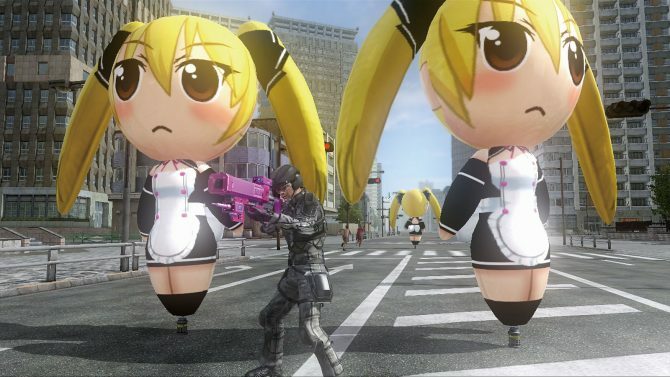 But if you’re hoping for some improvements over Earth Defense Force 4.1, you may be disappointed. 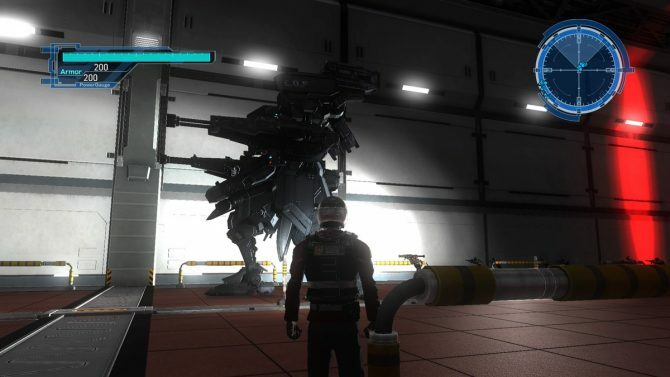 At least Earth Defense Force: Iron Rain looks very promising. 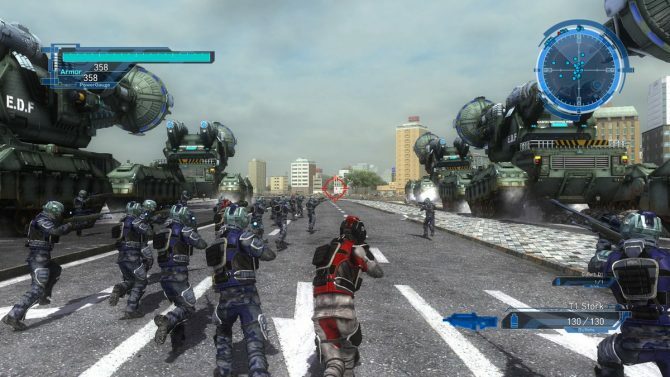 D3 Publisher has revealed that Earth Defense Force 5 has become the best-selling entry of the longrunning series in Japan.